New Delhi, Jan 12, 2019 : Moin Akhtar Qureshi, the infamous meat exporter from Kanpur, is more than a case that haunts the tenure of CBI directors, Yahoonews reported. It was during the downfall of CBI chiefs AP Singh and Ranjit Sinha that his name had first cropped up. Now, with the removal of CBI director Alok Verma by the high-powered committee, Qureshi is back in news. Qureshi currently has multiple charges against him, ranging from tax evasion and money laundering to severe charges of corruption. But how does Qureshi figure in this case? Special CBI Director Rakesh Asthana had alleged that former CBI Director Alok Verma had accepted a Rs 2 crore bribe from Sathish Babu Sana for relief in the Moin Qureshi case. So what’s the Qureshi case and who is Qureshi? Qureshi graduated from St Stephen’s College in Delhi, and started his meat exporting business in 1993 from Rampur. Slowly, his empire expanded to great lengths, mostly due to his network of friends in the political circle. He faces allegations of designing an entire hawala route to illegally transact money to Dubai, London and Europe. His operations expanded along with the meat exporting business. Qureshi established 25 companies spread over various sectors, including construction and fashion. But, AMQ Agro, the company that exported animal gut, remained his flagship firm. Qureshi is also said to have enjoyed a close association with liquor baron Ponty Chaddha in 1995. Qureshi’s first tryst with the CBI was in 2014. He had visited then CBI chief Ranjit Sinha’s residence at least 70 times in over 15 months. Sathish Babu Sana, according to reports, told the Enforcement Directorate (ED) last year that he had paid Rs 1 crore to Qureshi to get bail for his friend in a CBI case. Qureshi is also suspected of mass income tax evasion under the new black money act. According to reports, the ED is investigating Qureshi for allegedly stashing funds to the tune of Rs 200 crore abroad. It was Qureshi’s daughter’s wedding that brought him under the money laundering scanner for the first time, when the meat exporter had singer Rahat Fateh Ali Khan flown in to perform. The Pakistani singer was detained on his way back by the Directorate of Revenue Intelligence for not disclosing foreign currencies amounting to Rs 56 lakh in cash — apparently taken as fee for his performance at the wedding. Pernia runs a fashion store and is married to London-based chartered accountant Ajith Prasad’s son, Arjun. They are closely related to former Union minister Jitin Prasad. 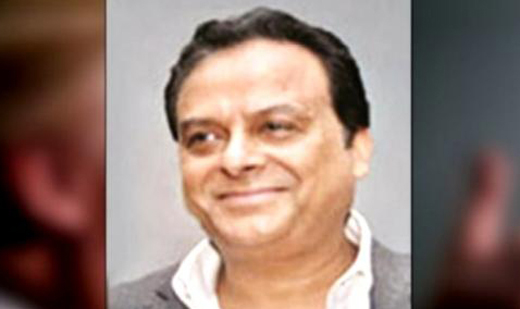 Moin Qureshi’s downfall came in February 2014 when Income Tax teams conducted raids on at least 15 locations allied to his empire. One of the locations was the house of former CBI chief AP Singh, where Qureshi ran his office. It was after this raid that the CBI and ED came to know of Qureshi’s secret offshore assets. The ED had then registered a case under the Prevention of Money Laundering Act.